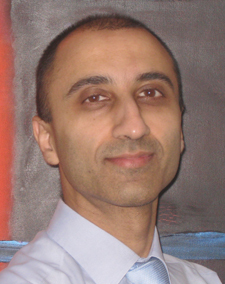 Dr Mehul Dhinoja is a Consultant Cardiologist and Electrophysiologist in London who practices on the NHS at St Bartholomew’s Hospital and sees patients privately at the London Independent Hospital as well as seeing patients at the BMI Clementine Churchill by arrangement. See Dr Mehul Dhinoja’s BUPA profile here. Dr Dhinoja qualified in Medicine from Charing Cross and Westminster Medical School, University of London in 1995. He trained in cardiology in London followed by specialist training in cardiac electrophysiology at The Heart Hospital, University College London Hospitals NHS Trust and a fellowship in Adult Congenital Heart Disease electrophysiology at The Children’s Hospital, Boston, USA. Dr Dhinoja has been a Consultant since 2007, initially at The Heart Hospital and since 2008 at St Bartholomew’s Hospital. Dr Dhinoja specialises in the treatment of all heart rhythm disorders. He has extensive experience in performing catheter ablation procedures and the implantation of devices like pacemakers, implantable cardioverter defibrillators (ICDs) and biventricular devices. He has particular expertise in the treatment of complex rhythm problems like atrial fibrillation (AF) and ventricular tachycardia using the latest three dimensional mapping computers and robotic technology. Dr Dhinoja performs between 150 and 200 catheter ablation procedures a year and has 14 years’ experience in device implantation and explantation. If you would like to book an appointment to see Dr Dhinoja please contact his secretary on 0207-780-2600.